U.S. Customs and Border Protection last month received its latest unmanned aircraft, but it’s a new sole-source contract that could approach a half-billion dollars that offers the latest insight into the agency’s vision for its controversial eyes-in-the-sky drone program. The border agency has locked in a five-year deal with a San Diego-area aeronautical company estimated to be worth as much as $443 million, according to a document posted Nov. 1 on the federal government contracting opportunities website. An estimated $237 million of that would buy up to 14 drones and related equipment. Whether Customs and Border Protection will actually get the money to spend is another question. Congress hasn’t appropriated funding beyond the 10th drone the agency just received, which will fly from Cape Canaveral, Fla., and the agency hasn’t asked for any more for the 2013 fiscal year. The Homeland Security inspector general’s office in a June audit recommended that Customs and Border Protection stop buying the drones until officials figure out a budget plan for the program and how to get the most use out of the unmanned aircraft, which are frequently grounded by inclement weather. The watchdog agency’s criticism spurred a Texas congressman who has championed the use of drones to call on Customs and Border Protection to come up with a strategic plan before the agency buys more of the unmanned vehicles. 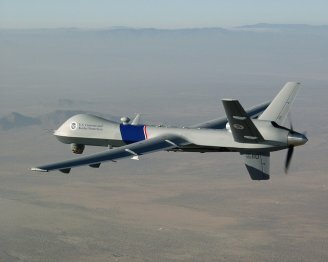 Yet Customs and Border Protection still wants more of them – up to 24 total – to patrol over land on the northern and southern borders and along coastal regions to help catch drug traffickers and undocumented migrants sneaking into the country, and apparently wants to be ready to buy more drones if and when Congress gives it the green light. The agency has been on the forefront of domestic use of drones by law enforcement. While there are still relatively few drones flying today, the Federal Aviation Administration predicts 30,000 will fly domestically in less than 20 years, according to a recent congressional report. Rep. Robert Aderholt, R-Ala., the chairman of the House Appropriations subcommittee for homeland security, which has supported the agency’s use of unmanned aircraft, said in a statement that procurement law prohibits an agency from obligating the government without enough money to cover contract costs. The Homeland Security Department can, as is apparently the case with the drones, put in place certain contract types without obligating funds so they can be ready for “future operational needs,” he said. Whether the agency’s justification for the sole-source contract with Poway-based General Atomics Aeronautical Systems Inc. serves as a de facto strategic plan, officials won’t say. General Atomics has built the agency’s unmanned aircraft and was recently awarded a $128 million operations and maintenance contract for pilots, support services and other needs. Officials have said that they have no immediate plans to acquire more unmanned aircraft. A Customs and Border Protection spokesman would not speak on the record about the contract, but Kimberly Kasitz, a spokeswoman for General Atomics, said the document amounted to a “five-year plan” for the agency’s drone program. “It was their way of showing they had done the research – and chose to go with us,” she said. The agency flies two models of drones, which can stay airborne for up to 20 hours. The land version, known as the Predator B, costs $18.5 million while the maritime Guardian costs $20.5 million. Those costs include a ground control station, surveillance and radar equipment, maintenance and the drone itself. The agency cited the maritime version as a major reason why it awarded the contract solely to General Atomics. Customs and Border Protection said the agency could not fly enough drones operations – which would put national security and Border Patrol agents at risk – if it didn’t award the sole-source contract. While hailed by Customs and Border Protection and some members of Congress, the drones have also been criticized for being expensive and inefficient. In the 2012 fiscal year that ended Sept. 30, the unmanned aircraft, which are controlled remotely from bases in Arizona, California, North Dakota and Texas, were credited with assisting efforts to interdict more than 58,000 pounds of drugs. The drones also contributed to 130 arrests and 1,408 apprehensions as drones flew about 5,500 hours, the most ever in a single year. It was also the drone program’s best year in terms of seizures since the agency began using them in 2006. The drones account, however, for only a fraction of the agency’s overall interdiction statistics. As a whole, the agency seized about 5 million pounds of drugs and apprehended more than 340,000 people trying to sneak into the country in 2011, the most recent year complete figures were available. Officials have said that drug seizures and border-crosser apprehensions alone are not fair measurements of the program’s success, as the drones also support disaster response efforts.